I’ve checked out open houses every weekend for the past 16 years. The idea is to blend exercise with remodeling ideas and property knowledge into a one to two hour window. I’ll usually visit three to four open houses within a two mile radius. The knowledge gained from open house hunting helped me remodel a couple houses without the use of an architect and gave me confidence to go all-in in 2014 when I bought a fixer in SF, despite already having multiple properties and two large mortgages. Without a doubt winter is the absolute best time to house hunt. The simple reason is that anybody listing in the months of November through January is probably desperate. During the winter, the weather is at its worst, many people are away during the holidays, most people don’t move until the summer due to school, people tend to front load their spending, and anybody who can’t wait until spring to list must be having financial issues. If you plan to sell your house, please don’t list during the winter! You will have bargain hunters like me trying to terrify you into selling at a below market price. If you pay close attention to your local property listings, you will notice the most amount of price reductions during the winter. 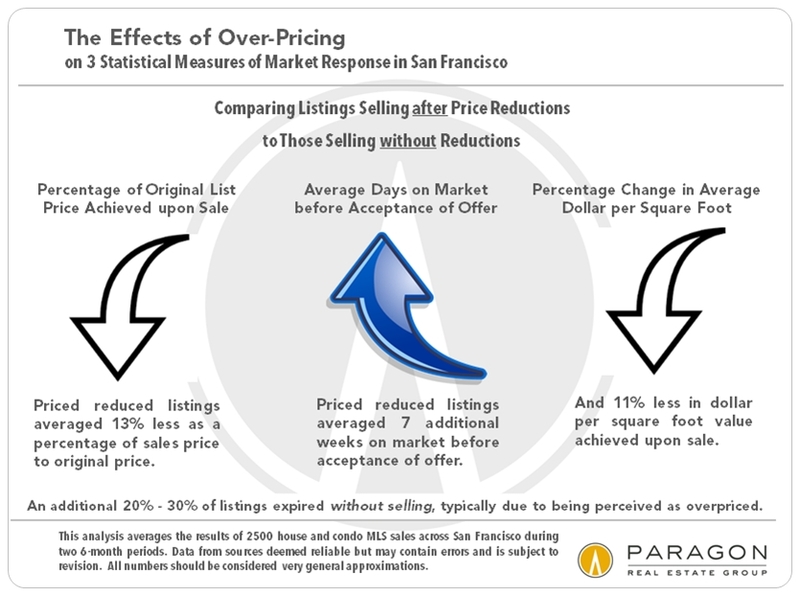 These price reductions are largely the result of the properties being initially overpriced and sitting on the market for more than 30 days without at least an asking price offer. This is when desperation starts setting in. Lesson: Don’t over price your property. It will back fire. It is much more emotional and worrisome to sell a house than to buy a house. I know this first hand after spending 45 days trying to sell my house to a guy who took out a $2,000,000 loan and another $300,000 loan. So many things can fall through from the buyer’s side including: failed inspection, failed loan, cold feet, further negotiations and more. Once a deal is broken, people start wondering what’s wrong with the property. Despite all the reasons I listed why house hunting during the winter is the best time and listing during the winter is the worst time, there’s one more reason I came across that is super important: seeing whether the house can hold up to the harshest elements! Here in San Francisco, it doesn’t get below 40 degrees in the winter. But what we do get is plenty of rain for the entire season. At least when it rains in San Francisco, it tends to dump snow in Lake Tahoe. In January 2017, I got a text message from my old rental house tenant saying his bedroom ceiling was leaking. We had just experienced three consecutive weeks of rain and apparently there was leakage from the light well above his room. I was completely stressed out because identifying where the leak comes from can often be a mind bending task. On the next sunny day, I went over with four cans of FlexAll to seal the entire light well and all the seams of the roof. I also cut out a hole where the leak was coming from so I could let it air out and re-patch after making sure the leak was fixed. Thankfully, my easy fix worked, and the leak stopped. But it was then that I started really considering selling the place due to maintenance headaches. Who knows how long the sealant would hold up. The roof was 10 years old and a new one would cost over $20,000. Further, my wife was in her third trimester and I really didn’t have time. After successfully selling my house this summer, I forgot all about the leaky roof and maintenance stress until this winter. Because I still have about $940,000 in cash sitting around from my home sale, I continue to check out ocean view properties in San Francisco. It’s just habit after so many years. I stumbled upon a house that fell out of contract and slashed its asking price from $1.5M to $1.4M. Even at its new lower asking price, nobody has made an offer for a month. Perfect! I saw the property in the evening and I wanted to see it during the day for the ocean view. Unfortunately or fortunately, the day we arranged for the second visit so happened to be raining. When I got there, I was surprised to see a massive leak where the vent attached the ceiling in the garage. If I had seen this property when it was first listed during late summer, there is no way I ever would have caught the leak. If I bought the property, I would have found tenants and three months later, they’d be texting me with this video. Then I’d be pissed at the seller for not disclosing the leak or making sure everything in the house was in good standing. My stress level would be through the roof and I’d probably take on an entirely different tone with this post. But thankfully, I didn’t re-invest all my home proceeds immediately. I took several months investing a little over half the proceeds and am now actively hunting for great property deals in the middle of rainy season when fewer people are looking. With this new leaky information, the listing agent disclosed to me they had a buyer at $1.5M a couple months ago, but he fell through because his loan approval failed. They rejected a $1.35M cash buyer in favor of the buyer with the loan. Given it’s been over a month at the new lower asking price of $1.4M, and the $1.35M cash buyer is nowhere to be found, I’m thinking a $1.25M offer might be in order. 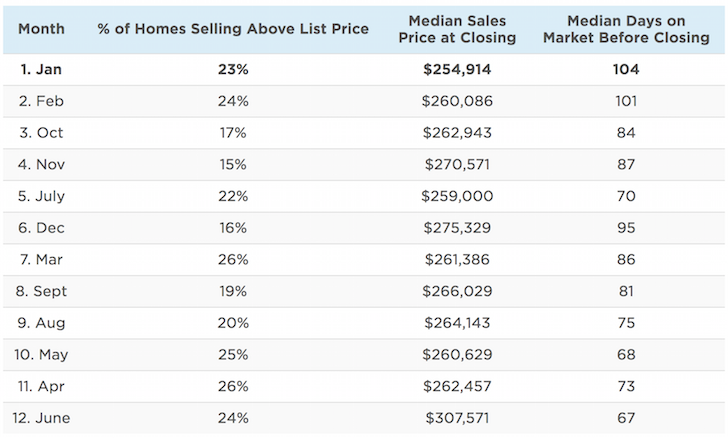 Based on the data above, you can see empirical evidence showing January has the lowest median sales price at closing and stays on the market the longest = the best time to buy a home. February is also a great time to buy a house as well. Conversely, June is the worst month to buy a property due to its highest median sales price at closing and shortest days on market. Unlike the stock market, where it’s hard for the average person to get an information edge, real estate provides a lot more opportunity for those who are willing to hustle. 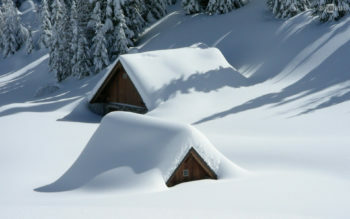 If you must buy property at current levels, then winter is the time to look your hardest. I’m personally looking for real estate opportunities during the winter more aggressively in cheaper parts of the country through real estate crowdfunding after selling my rental house in June. Finding great deals is partly a numbers game. The more deals I can look at, the higher the chances I’ll be able to find a gem. What’s your point of view on the current tax reform and buying a home in SF? I’m reading a lot that it is potentially bad b/c mortgage deductions will be capped. What does it all mean?! Buying a house in winter is a great strategy for buying your personal home as well as for an investment property. Not only do you benefit from the lower price (as mentioned) but the timing works well. Go under contract in late Winter, close in Spring, list your rental in Spring to early Summer (which is the best time to get lots of quality rental applicants). I do have rental turnover in Fall/Winter, but it’s usually much tougher to find good tenants quickly. People list in winter because (1) desperate (2) they are uneducated and their agents assure them it won’t make much of a difference. I just had an agent wholeheartedly testify to this. (“I’ve sold a house at Christmas!”). Usually these types of conversations focus on ‘is it possible to sell’ not, how can I make the most money. This is why I try to make all decisions without an agent and am waiting for a next-level home sale system to save me! I heard from realtors that, winter is a good time to buy a house. I bought my first house in December 1999, the deal was not bad. It was a new house, and the home builder tried to get rid of it soon, so they could get the bonus before the end of the year. Good luck, Sam! It’s hard to stay away from real estate investing, isn’t it? This is a great post. When I bought my first house in Toronto we bought in February and the sellers were desperate. They had to take out a second and third mortgage to make ends meet and we were happy to take the property off of their hands quickly and for a discount. Now I am looking to buy in the next year and I plan to use your advise to make a deal in the winter. The weather argument is a good one and one I never considered. Great advice! I would think that purchasing at an auction would be better in the winter as well. There is probably a large chance that buys at an auction pay with cash. I bought a house in October and it was a good time. Spring is usually the busy season. I agree that in winter most people sell because they are desperate. This is a really timely article! My wife and I are looking to buy a new house and are seeing some pretty great deals this winter. The tough part is we’d also need to sell our condo. It’s a double-edged sword. We’re in a good location in Portland so there is the possibility our potential asking price will be met. Have you rented out one of your places for 6-months? How did it go? I tend to look at the local Bay Area real estate market every day, but rarely do I actually head out to an open house. As far as properties in the city, Sam, I tend to gravitate toward those that have a private outdoor space. (I’m a mom to two elderly dogs.) I think I found the property you’re talking about. If I did find the right one, it doesn’t appear to have private outdoor space. Is that not one of your must-haves? And how do you think a private outdoor space affects the pricing of a property and the speed of sale? For me, real estate is truly an addiction. I spend numerous hours a week looking at properties, both new listings and those recently sold. One never knows when that perfect-for-you property is going to pop up so it’s important, in my opinion, to be prepared. Plus, having a better understanding of home values and the constant ebb and flow of inventory, will give you the courage to walk away from bidding wars and negotiations that aren’t going your way. So did you end up patching the ceiling of your old house up yourself or hiring it out? Why would you sell a rental and try to replace it less than a year later? Sure it’s in a different area where there’s a higher chance of appreciation, but I don’t understand why you’d want to take that risk when you’re sick of RE in SF (as you should be). I think you still have 1-2 rentals? Wouldn’t you be better off just completing getting out of the game and be able to see higher, more passive returns elsewhere? I don’t know your exact numbers, but a $2M home renting at $10k a month is only a 6% return before expenses. That’s almost best case scenario these days. You have to ask yourself whether you’d buy the property you own today to rent out. My guess is that you wouldn’t. Patched the roof myself with FlexAll and sold the house. The home I sold for sold for $2.74M and was getting $9,000 a month in rent at its peak, and more like $7,500 – $8,000 due to the influx of new construction. So the numbers are worse. I love to exercise, get remodeling ideas, and speak to real estate agents to understand the demand. I find it insightful to share real experiences on this site. Thinking deeply about investments and hearing other people’s perspectives helps a lot. that would be too stressful for me. Thanks for sharing. I agree with your stance on real estate: it’s almost irresistible due to it’s tangibility. We bought in Michigan in Jan 2106 closed in Feb and were desperate out of state buyers on a deadline. I was dissappointed with the limited choices, as we had some specific criteria but we are happy with our house, and the price had gone down quite a bit since the listing. We also sold a house in WI at the same time. Great realtor, and although we did have to drop our price, we luckily ended up having 2 bidders that drove our price over listing. I would say that in many markets, there are probably some desperate buyers to offset desperate sellers. I personally would not be afraid to list in the winter after that experience. We are currently house hunting and hopefully we can find something during this time of year. Like you said it’s a good time to buy one because of the price reductions and the fact that you can find some faults in the home from the cold weather being the cause. At the same time, the inventory is low because of this. Hopefully we can find a great home during this time and have a seller desperate enough to offer it a low price. Hey Sam, I haven’t commented in a while (been busy with work, developing drugs to treat disease). When I lived in Florida (Ft. Lauderdale), I thought winter was the best time to sell. So I rushed to put my house on the market in February (which I’ve told you about) because I thought that was it. In 60 days, we did get 100 showings, and 8 offers, but not quite the price I wanted, and we had two buyers walks out due to repair issues I didn’t know about. In retrospect, we were NOT close to the ocean; we were in a family neighborhood with good schools. I should have followed the school schedule and waited until April to put it on the market. We were already buying a house up north, and I should have pushed that sale from Feb to Mar (new home, so I had that leeway) and I should have waited on my house to be on the school year, as you say in this article. You asked me once about increase in value — I saw my neighbor just listed his for $100,00 grand than I sold mine for. But I unloaded it…as you noted, selling a house is very stressful, and this was very much for me because all these repair issues came up after I had moved 1000 miles away. Sam, eyeing my first SF Marina condo cut from $1.4m in May to $1.1m now 5 weeks ago and still not sold..SF RE has justification finally fallen?? How come haven’t heard back from your email?? Your comment is a great example of why I don’t want to be a blogger. It adds no value and totally focuses on yourself while expecting the blogger to respond to your questions and help you out. Why do you think you are so entitled to other peoples’ time without offering anything? Besides leaking roofs, winter is also good for checking out leaking pipes. Those are huge in the north and northeast. Not pertinent to your question, but it seems you’ve educated yourself very well about the San Francisco real estate market. Have you considered purchasing or selling properties without enlisting the help of a realtor? I don’t know what San Francisco real estate laws are so it’s possible you legally must have a realtor, but couldn’t a real estate attorney work as well and far less expensive than hiring a realtor? We’ve bought 3 homes and sold 1. So 4 transactions in total. With 3 of those transactions, we hired a realtor and all 3 times they were idiots. With the other sale, I sold it without a realtor representing me but the buyer had one so I only paid their commission. I paid my lawyer a tiny fraction of what it would have cost if I hired a realtor. Granted it was an easy sale, but still. Just wondering since these are fairly large $ sales so you could save yourself a fortune. Yes. Key is to hire a non idiot realtor. Another important key is to set your price, and only use the realtor if you can get a price beyond the cost of the realtor. The hire the price of your home, the more is at stake to get the optimum price. It may be counterintuitive, but it’s true. If I was selling homes for under $500K, I’d probably do it myself too. Getting a 5% lower price than I could have, or $25K is not a huge deal. 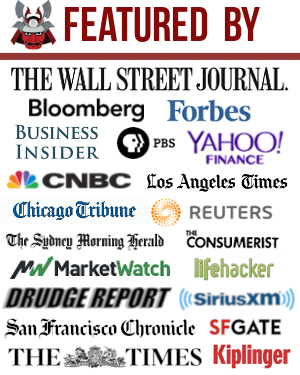 This article is focused on home buying though. I don’t understand what would be at stake with a higher sales price (easier for a deal to fall through due to financing perhaps?) But it seems like homes are flying off the market in SF, and frequently over asking, so the odds are in your favor. To answer your original question, we bought our house in the middle of winter, but I wouldn’t say we got a deal. This was during the real estate slump and inventory was extremely low (we saw 3 houses that fit our criteria in a 2 yr period). We made an offer before the house hit the internet. The most important thing I found with higher price points where there is less demand is finding someone who has a Rolodex of clients who are willing to buy exactly what you want. For example, many working households can afford a $1 – $1.5 home here. Therefore, the value of the real estate agent gets diluted. What was the Sales price of your home and how did it compare to the median price of your city? I absolutely agree with you that the real estate selling commission needs to come down. It’s way too high. I’ve noticed that my Z-estimate on Zillow has dropped a couple thousand dollars and it just occurred to me that it’s because comps drop in the winter. My neighbor is about to put her condo on the market and I have no clue why she’s choosing now to sell. Now is the perfect time to buy an income property because prices are lower and you can take the winter months to do needed rehab so the place is on the rental market just in time for spring tenants. I just wish I had extra cash right now to make that move. Yikes, that leak would not be fun to fix. I agree winter is the best time to buy. Less competition, especially in the Bay Area. I bought a rental home two years ago in the winter time. It came with a new roof. 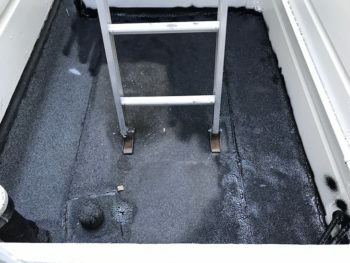 However last year, the tenants complained of water leaking around the skylight. I was able to call up the contractor and get him to fix it. As a landlord, winter is not a great time to rent. Fewer people (especially families) are looking to move during the holidays. My property manager always tries to get two year leases that end in spring/summer. Are you doing 1031 after all? You’re not leaving any of the sale proceeds for taxes? Thankfully, I stil have income that accumulates each month to be put to work. I hope you’re right. We started our house hunt a couple weeks ago. It seems there are two competing forces, sellers are motivated but inventory is very tight. So far everything that has decent potential has gone under contract very quickly while the rest sits. My hope is that as we get into December or January we will face less competition when properties list. Good news is we are in no hurry so we can afford to wait and watch for a deal. Desperation for sure; probably need to suddenly move due to a new job or medical reason perhaps. My neighbor put his house up for sale tens of thousands below market a few months back because he needed to sell since he accepted a new job in a different state. I’m wondering if he would have been better off financially putting it up for rent. That would result in two mortgages though. My neighbor is getting ready to list and I hope she does not significantly under price her unit. That would be horrible for everyone in the building. This goes back to the idea that wealth in many regards is a community function. Same is true on smaller scale with items such as snowmobiles and boats. A few years back I could not give a nice fishing boat away in November (upper midwest). Held the thing to Spring and put it back on market. Come April there were multiple bidders driving price up. I just waited until they haggled it out. The human mind is a weird thing and emotion plays a huge role – (i.e. – I want this) Nice for me though as it put an extra $4k in my pocket compared to the November price I would have taken for it. I bought a rental property in KC a while back and was looking to buy another. Apparently it’s been pretty competitive out there and my broker suggested that winter would be a good time as well, so that’s what I’ll be doing. I think during the winter months, a lot of families don’t buy houses since they probably don’t want to move in the middle of a school year. I put in an offer on a co-op once during the winter months I think around Thanksgiving/Christmas time. After some negotiations I held firm thinking I wouldn’t have much competition since I figured it was a quiet time in the market. Well I was wrong and another buyer swooped in…argh! 1. A bird in the hand is worth two in the bush. They know it will be easier for them to sell your house in the spring, but there’s always a risk you’ll change your mind, find great renters, decide to go with a different agent, etc., etc. 2. They want to reduce the seasonality in their business. They need income year round, which means listing and selling in the off season. They also could be capacity-constrained in the spring, and need to hand off your listing to another agent at their brokerage. 3. All the risk is on you. Their costs of the house not selling are minimal compared to yours. They’re out a couple of hours a few Saturdays running an open house, plus small costs associated with marketing your property. You’re paying potentially thousands of dollars in taxes, interest, and fees every month for a property that is sitting empty. Given they’re getting maybe 2.5% of the selling price, any price cuts hit almost entirely your wallet, not theirs. In my case, I had a property sit empty for 6 months while we tried to sell it, even after putting $15k into improvements (paint, flooring, landscaping) right before listing. We listed at $535k, and dropped the price to $485k with no offers. I finally gave up, got renters in there for 13 months, then listed in the proper time of year (March). We had multiple offers in the first 3 days, and were under contract for full list ($530k) 4 days after it was listed. So, what changed? Not the property; the hardwood floors still looked great, but were 19 months older than when we first listed. We had great comps going into the initial listing (similar units had sold above our list price), so it wasn’t that. To me, it was the buyers. Anyone visiting the initial open houses seemed to be either a bargain hunter, or a less committed buyer. In the spring, it was a feeding frenzy, and all three of the offers we received were from serious, qualified buyers, making offers within a few thousand of our asking price. Maybe my experience was just a one off, but in the future, I’m buying in the fall / winter and selling in the spring. Great story and congrats! It’s a total herd mentality when buying things. It’s such a no-brainer to be more strategic and learn the seasonality of things when buying or selling anything. Real estate agents are really doing their clients a diservice by pushing them to list in the winter. The increase in demand far outstrips the increase in supply in the spring and fall. We bought our first home in the winter and moved in during a nasty Upper Midwest Blizzard! In fact, we had to remove snow from the driveway before we could even start unloading our belongings. I don’t recall getting much of a deal because of that timing unfortunately. The points you mention are true. I like to look at houses during the coldest, windiest days to make sure the windows seal nicely. Nothing like sitting by a window during 40 mph wind gusts and feel your hair wiggle. Wow, I can’t imagine listing a 1.4 mil home and having such a big leak. I know that you are continually looking for ocean front view but it seems like this would not align with your goal of moving to HI? Regardless, I agree that in the middle of winter people who are listing are most likely doing so because of strange personal circumstances. Here in Denver inventory is still very tight in my opinion. Do you think that this holds true just in the SFH market or does it apply to multi family units as well. It is amazingly competitive for these types of properties in the Denver market right now. Regardless of the additional activity (x) or event (y), throwing in exercise makes both (X or y and exercise) seem more enjoyable. Interesting data from Paragon…we’ve never owned a property yet, but there can be a similar (albeit significantly less) impact to the numbers when renting a place. Winters also generally have lower asking prices (though it seems supply is also even lower). A unit a few floors above us is going for $300 less a month, which we might take up for $3600 less a year, a better view, AND the ability to extend our already flat rate increase from last year for another 12 months. It depends on what they offer as it might not be worth the hassle though. Are you really going to making an offer on a house? I thought you were trying to get out of that game and simplify your life? That is a pretty solid deal though. I want to get a little more cash saved up before we buy another house and turn ours into a rental. Looks like we will be shopping in December though. Yeah, what Grant said— I thought you were done with RE in SF, Sam? What gives? Will likely never stop exercising and writing. Good for the body and mind. Further, so much knowledge can be gained From speaking to people at open houses. Just think about it like on the ground economic research. So are you going to actually put down on the property? We ended up getting a roof inspection on the home we bought last October. It was worth the money as we were able to obtain a price reduction on the home and receive money from the solar panel company to fix the roof (double win). Unfortunately I did not fix the roof and had a leak 5 months later requiring a emergency fix…oh well at least my new roof when I rebuild will be just that – NEW. Yup, I’ve always thought this. I’ve seen the homes go on sale after November and it’s always been a rush game for the sellers to leave. It’s either work visa problems or a sudden hit to the family. Things close just as fast in this sellers market though but it also looks less rosy during winter which means it’s easier to catch problems. The inventory during winter is an issue though. There are just less good property which means bidding war.